NO PURCHASE NECESSARY. 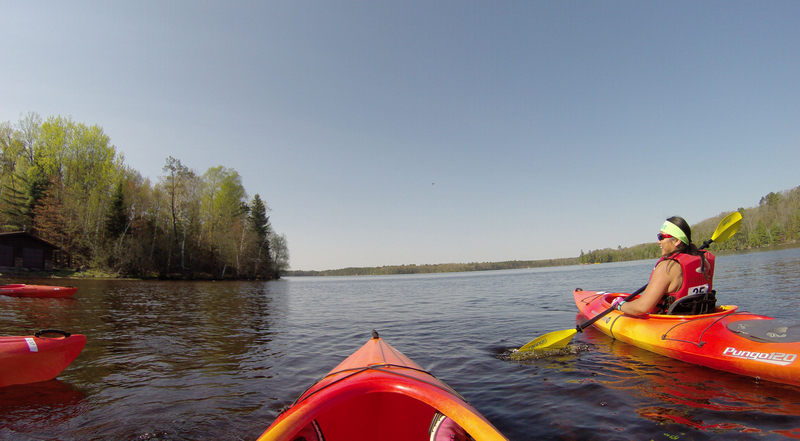 Open to legal residents of the United States who are 18 years of age or older as of date of entry. Void wherever prohibited by law. Employees and elected officials of the Boulder Junction Chamber of Commerce, their respective affiliates, subsidiaries, advertising and giveaway agencies, and the immediate family members and/or those living in the same household of each are not eligible. By participating, entrants agree to be bound by the Official Rules and the decisions of the Boulder Junction Chamber of Commerce. This giveaway is in no way sponsored, endorsed or administered by, or associated with, Facebook. You are providing your information solely to the Boulder Junction Chamber of Commerce and its destination partners and not to Facebook. The information you provide will only be used to select winners for this giveaway and in the delivery of future promotional communications from the Boulder Junction Chamber of Commerce. You may opt out of this communication at any time. CONTEST PERIOD: The giveaway begins on January 14, 2019, @ 12:00PM (CST) and ends on March 1, 2019, @ 12:00PM (CST). HOW TO ENTER: You can enter the sweepstakes by visiting the Boulder Junction Chamber of Commerce website, www.boulderjct.org, clicking on the “White Deer Triathlon Giveaway” link and following the on-screen instructions. 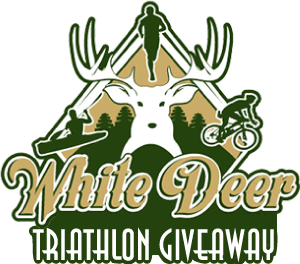 Becoming a fan of the White Deer Triathlon on Facebook is NOT a requirement to enter the giveaway. You may only enter the giveaway once; entering the giveaway multiple times will not increase your chances of winning. Limit one entry per IP address. No mechanically reproduced entries of any kind permitted. Incomplete entries are void. The Boulder Junction Chamber of Commerce is not responsible for lost, late, misdirected entries or entries not received. In the event of a dispute over who submitted an online entry, the entry will be deemed to have been submitted by the authorized account holder of the e-mail account identified on the online entry form. The authorized account holder is deemed to be the natural person who is assigned to an e-mail address by an Internet access provider, service provider, or online organization responsible for assigning e-mail addresses for the domain associated with the submitted e-mail address. RANDOM DRAWING: One (1) grand-prize winner will be selected by random drawing on or before March 31, 2019, from all eligible entries received. Decisions of the Boulder Junction Chamber of Commerce are final on all matters. The winner will be notified by e-mail only and has five (5) days to respond. If there is no response within the required time period, an alternate potential winner will be selected and notified. Odds of winning will depend upon the number of eligible entries received. The Boulder Junction Chamber of Commerce its employees and agents, are not liable for any losses, injuries, or damages of any kind resulting from acceptance of and/or participation in giveaway. Acceptance of any prize constitutes permission to the Boulder Junction Chamber of Commerce to use winner’s name, voice, statements, image and likeness for purposes of advertising and trade, in any medium, without further compensation, unless prohibited by law. TERMS: The Boulder Junction Chamber of Commerce is not responsible for any typographical or other errors in the offering or the announcement of any prize or in the administration of the giveaway, whether caused by computer, technical or human error. Winner assumes all liability and agrees to release and hold the Boulder Junction Chamber of Commerce harmless for any injury or damage caused, or claimed to be caused, by participation in this giveaway or acceptance or use or redemption of any prize received in this giveaway. The Boulder Junction Chamber of Commerce is not responsible for late, lost, damaged, incomplete, illegible, faulty, or incorrect transmissions, incorrect announcements of any kind, technical hardware or software failures of any kind, any damage to any person's computer related to or resulting from participating in the online portion of the giveaway, lost or unavailable network connections, or failed, incomplete, garbled or delayed computer transmission that may limit a user's ability to participate in the giveaway, whether caused by computer, technical or human error. All terms of giveaway shall be construed according to, and any disputes shall be subject to, the laws of the State of Wisconsin. The Boulder Junction Chamber of Commerce reserves the right to cancel or modify the giveaway for any reason, including but not limited to, if fraud, misconduct or technical failures destroy the integrity of the giveaway; or if a computer virus, bug, wireless failure, or other technical problem corrupts the administration, security, or proper administration of the giveaway as determined by the Boulder Junction Chamber of Commerce, in its sole discretion. The Boulder Junction Chamber of Commerce reserves the right to disqualify, freeze or prohibit the participation of an individual if fraud or tampering is suspected, or if the individual fails to comply with any requirement of participation or with any provision in these Official Rules. IN NO EVENT WILL THE BOULDER JUNCTION CHAMBER OF COMMERCE BE LIABLE FOR ANY INJURY, DAMAGES OR LOSSES OF ANY KIND, INCLUDING DIRECT, INDIRECT, INCIDENTAL, CONSEQUENTIAL OR PUNITIVE DAMAGES ARISING OUT OF PARTICIPATION IN THIS GIVEAWAY CONTEST OR THE RECEIPT AND/OR USE OF THE PRIZES PACKAGE ASSOCIATED WITH THIS GIVEAWAY. THE PRIZE PACKAGE IS PROVIDED ‘AS IS’ WITHOUT WARRANTY OR GUARANTEE OF ANY KIND, EITHER EXPRESSED OR IMPLIED, INCLUDING BUT NOT LIMITED TO THE IMPLIED WARRANTIES OF MERCHANTABILITY, OR FITNESS FOR A PARTICULAR PURPOSE. WINNERS LIST: For names of winners, mail a self-addressed, stamped envelope to: White Deer Triathlon Giveaway Winners List, c/o Boulder Junction Chamber of Commerce, P.O. Box 286 W, Boulder Junction, WI 54512, by March 31, 2019. © Boulder Junction Chamber of Commerce. All Rights Reserved.